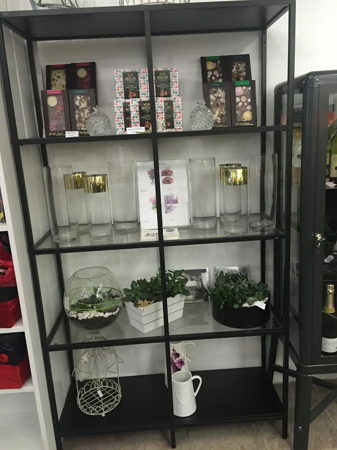 We have a variety of shelving units to offer to great businesses that would like to get their products in front of customers in South Woodford. -	In prime position next to our counter we have a shelving unit to rent which can be hired as a whole or per shelf. -	Window space available to promote your products/business, floor space approx. 116cm x 76cm, window space approx. 167cm x 242cm with hooks for hanging fixed to ceiling. 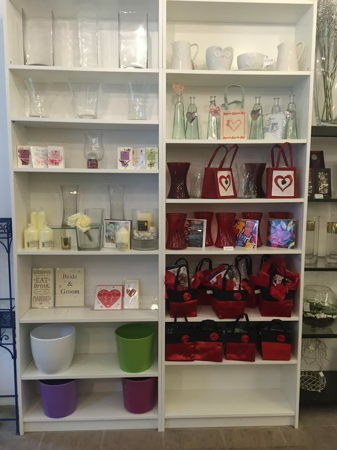 We are a busy florists on George Lane in South Woodford just 50m from the underground station. We are open Mon-Sat from 9am until 5.30pm. Closed on Sundays but we will soon be adding our space to hire for events on Sundays and evenings so watch this space! In the week we cater to the local residents and workers who rush in during the morning, afternoon and early evening. We also hold meetings here with Brides to be so a great opportunity to get your product in front of this demographic.